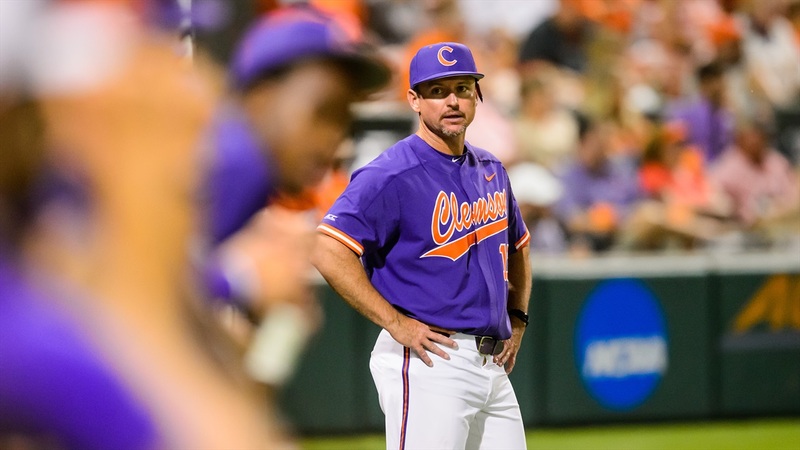 CLEMSON, S.C. - The 2019 Tigers hold their first full-squad practice of the new year this weekend at Doug Kingsmore Stadium before they open their 122nd season against South Alabama in a three-game series at Doug Kingsmore Stadium from Feb. 15-17. The Tigers, ranked as high as No. 14 in the nation in the preseason by Baseball America, look to repeat as ACC regular-season champion after sharing that title in 2018. It was the first time Clemson had at least a share of that title since 2006 thanks in large part to finishing second in the nation in homers per game, setting the school record for fielding percentage (.975) and totaling a Clemson-record 16 one-run wins behind a strong bullpen and timely hitting. “We are experienced on the front line of our staff, but we must fill key roles in the bullpen in 2019,” said head coach Monte Lee. “We also lost some of the most productive hitters we’ve had here, including Seth Beer and Chris Williams, two players who combined for 96 homers and 338 RBIs the last three seasons. “We hit 98 home runs last year, but with the loss of players who combined for over half of them, we need to be more aggressive on the bases, utilize our speed and be a good situational-hitting team. We also need to replace all three starters in the outfield. The 2019 schedule features 33 home games and four neutral-site games at minor league parks, including two games at Greenville, S.C., and single games at Columbia, S.C., and Charlotte N.C. Eighteen of the Tigers’ first 21 contests are at home, then 20 of the next 32 games are away from home. Twelve teams participate in the ACC Tournament at Durham (N.C.) Bulls Athletic Park.